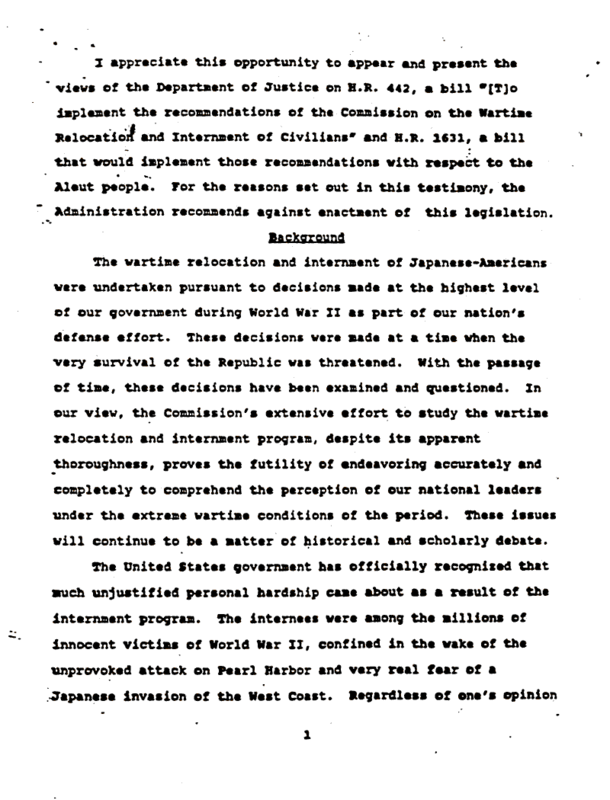 Internment Archives: Statement by Richard K. Willard, Asst. Atty. Gen. Statement by Richard K. Willard, Asst. Atty. Gen. Document Notes: The Justice Department position on the CWRIC findings and subsequent legislation. Provides a good summary of legal actions and discusses the dangers of establishing an "official" history of the event.